The European Forestry House (EFH) was founded in Brussels, Belgium, in March 2007 by the European State Forest Association (EUSTAFOR) and the Confederation of European Forest Owners (CEPF). 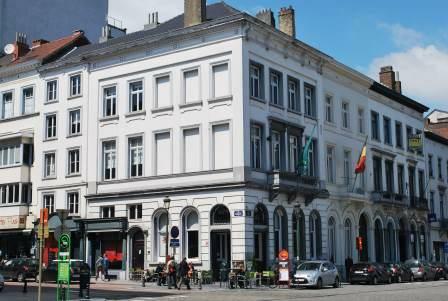 It is situated on the Place du Luxembourg, opposite the European Parliament, in the heart of the EU quarter. EFH is recognised as the centre of European forest competence and expertise in forest-related issues in Brussels, providing a venue for forest-related events and a hub for European forest and wood experts. It serves as a platform to represent a variety of different types of forest ownership, to promote sustainable forest management as well as the economic viability of the forest sector, forest and wood research and innovation, and the use of wood for multiple purposes. The organisations which have their offices at EFH are all directly related to forestry and the forest-based sector. Together they create synergies and promote the exchange of relevant ideas and information. Not only do the residents of the house represent European forests – the house itself also plays its part! The interior of the 200-year-old neoclassical building has been entirely restored, conserving its original wooden floors, staircases and doors. The offices are equipped with furniture made of solid European wood, with each room showcasing a different wood species, ranging from French walnut to Scandinavian birch.